Our local knowledge has been catalogued by us and implemented effectively through a variety of local independent businesses over the last 15 years. 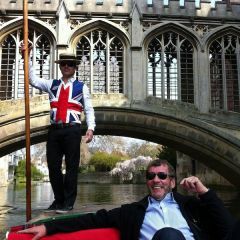 We have successfully launched and traded in other market segments including Event and Hen Party Planning and Cambridge’s top visitor attraction, Punting! 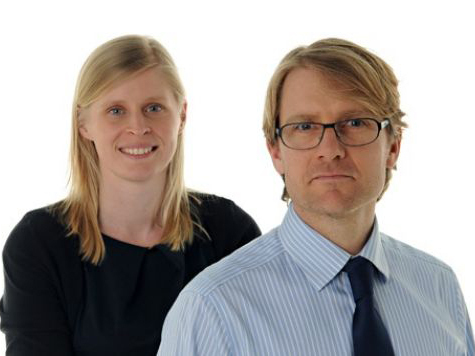 Co-founders Simon Godfrey and Caroline Robinson are based in Cambridge. Therefore their local knowledge ensures the seamless logistics of all of the events they organise. Top quality (and independent where possible) suppliers are brought together to create innovative and packages to meet your needs. Their Sales, Marketing and Events Manager, Adam Elliott has worked in Restaurant & Event Management for over a decade, including High Profile Silver Service in London. Our sister brands (Cambridge Hen Party & Let’s Go Punting) are the rated the best in their field according to Tripadvisor (Winner of Certificate of Excellence, 2014). Our new office/ event space is located within walking distance of the hotels, our punting station and the city centre, so why not arrange pre- activity reception before setting off on your day. We can offer meeting tables, drinks and canapes as well as being surrounded by our local famous photographers best works with an opportunity to purchase such artwork.